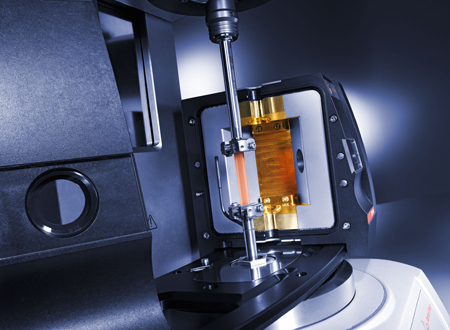 MCR 702 MultiDrive is the most versatile and powerful platform suitable for the dynamic mechanical analysis of solid, soft, and liquid samples. The unique concept enables you to perform dynamic mechanical analysis in bending, tension, compression, and torsion as well as thermomechanical analysis (TMA), standard and highly sophisticated rheological measurements with one instrument. The modularity of the system allows the integration of a wide range of temperature devices as well as application-specific accessories and measuring systems to cover all requirements of the greatest variety of different applications. The combination of an air-bearing-supported upper rotational drive and lower linear drive enables you to perform linear dynamic mechanical analysis using the linear drive and torsional dynamic mechanical analysis using the rotational drive. The choice of measuring mode depends on your application. Due to the use of state-of-the-art moving-magnet technology and renowned EC motor technology from MCR rheometers the concept guarantees highly precise measurements even at the smallest amplitudes. The innovative CFD-optimized design and the material selection of the measuring systems for dynamic mechanical analysis guarantee negligible temperature gradients inside the sample which is essential when highly accurate and reliable results are required. 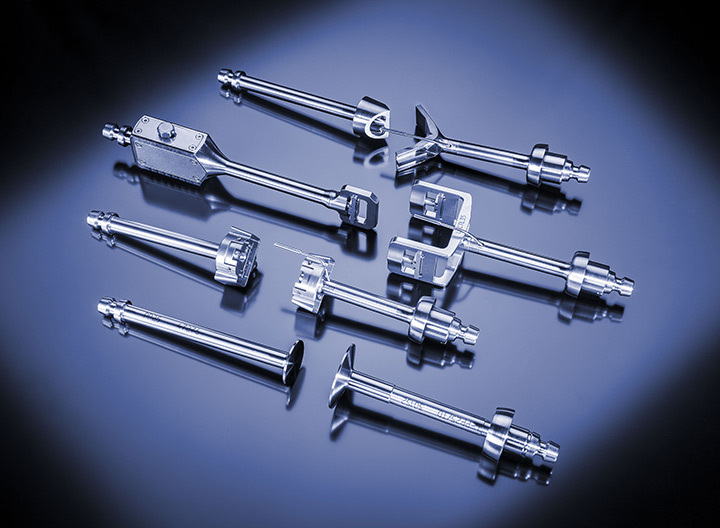 Each measuring system includes an integrated temperature sensor with a fixed position close to the clamped sample. In this way the measured temperature directly relates to the actual sample temperature and the highest reproducibility over the entire temperature range is ensured without manual positioning of the sensor. The design of the convection temperature devices is optimized to generate the homogeneous temperature distribution necessary for an accurate control of the sample temperature. Additionally, only low gas flow rates are needed, minimizing unwanted effects on measurements due to air vortexes or drying samples. Furthermore, a controlled relative humidity can also be applied to the sample in combination with temperature. Rely on the high-precision temperature control required for truly accurate results for all kinds of tests. In addition to classic dynamic mechanical analysis rheological measurements open up the possibility of characterizing the deformation behavior of solids and the flow behavior of liquids. To measure different kinds of samples, you require a variety of different measuring systems, accessories, and temperature devices. 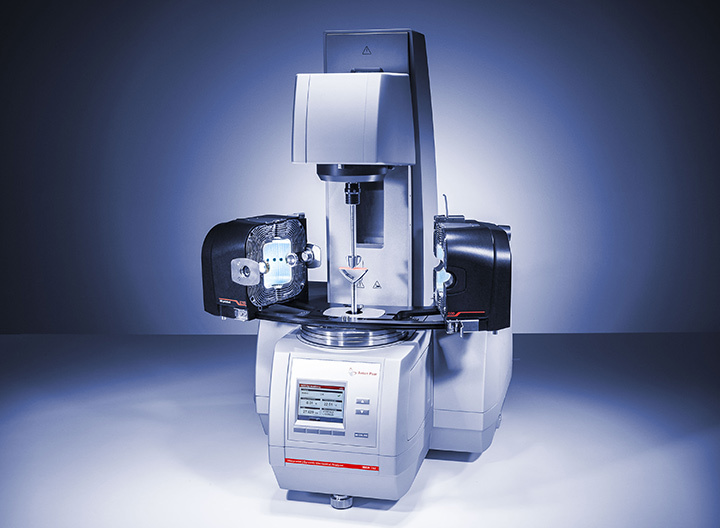 With the linear motor unit removed, MCR 702 MultiDrive is ready to be equipped with any measuring geometry, temperature device, and/or application-specific accessory known from the Anton Paar MCR series in order to carry out standard and sophisticated rheological analyses of your sample. Whichever choices you make, all temperature devices and measuring geometries are swiftly and easily integrated and exchanged, and your MCR 702 MultiDrive reliably adapts to each new setup. Additionally, the QuickConnect function allows one-hand connection of the measuring systems and ensures fast, convenient system changes without the use of a screwing mechanism. The patented Toolmaster™ feature automatically recognizes and configures all connected devices and measuring geometries. Additionally, the use of integrated temperature sensors as well as fully automated procedures for an optimum alignment (ZeroGap and ZeroAngle) ensures precise measurements without the need for any manual adjustments of measuring systems or temperature sensors. The intuitive RheoCompass™ software helps you find the predefined or customized test templates you need, customize tests and analysis definitions, and export your data and generate reports. The software offers a broad variety of predefined but individually adaptable analysis methods, e.g. determination of glass transition temperature or time-temperature superposition. Due to the use of a Microsoft SQL 2012 database managing and retrieving data is as easy as generating it. Filter the data, e.g. by year, batch number, or operator, and display it within seconds. 1) In oscillation a maximum displacement of ± 4500 μm. 2) In combination with CTD 600 MDR. Standard measuring systems are for use up to 350 °C. Measuring systems for testing up to 600 °C are available upon request. 3) In combination with CTD 600 MDR and low-temperature option. 4) Depending on the measuring point duration and sampling time, practically any value is achieved. 5) Set frequencies below 10-4 rad/s are of no practical relevance due to the measuring point duration >1 day. 6) Theoretical value (duration per cycle = 2 years).